Can Bennett's Knights ride the pumpkin all the way to the Grand Final? 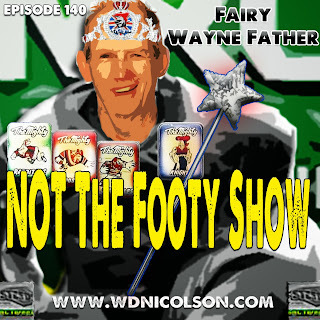 Matt and Waz recall past Cinderella Finals teams and try to make sense of how Newcastle dictated there would be no more bad weather in the title race. And look at how Manly's halves kept their season alive one more week to eliminate the gallant Sharks. Plus a quick recap of the @NRLTweet Player of the Finals Votes through two weeks, why was Craig Bellamy allowed to be proven correct by the NRL on Saturday night and ask why is Steve Mascord scaling back his involvement in the wired world of Rugby League? 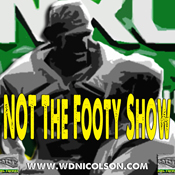 So join Matthew Duncan and Warrick Nicolson for the first NOT The Footy Show Podcast for what must have seemed like an eternity right? ...okay, only a week between shows but now Waz has his voice back - you might get 2 Podcasts this week! TWO I tellsya!